Yesterday I managed to pick up a copy of the latest Burda in the newsagent and, excitingly, it has lots of very nice patterns for basic pieces. For example there are some slim, simple trousers, a longish pencil skirt and a sheath dress, all useful patterns that I can imagine getting a lot of wear out of. Most excitingly of all there is a jacket pattern (101 and 102) that I think can be used for a casual spring jacket, to wear over jeans, or for something more formal to wear to work. Strangely, the picture in my magazine has the girl wearing a full length top. This picture came from the Russian Burda website which is obviously less fussy about flesh being on display! I have been thinking about making a jacket for some time but have not been able to find a pattern I like. I have, however, read up on tailoring techniques and quite fancy having a go at interlining with organza and structuring a collar with pad stitching. The instructions in the Burda magazine are a little vague (as ever!). 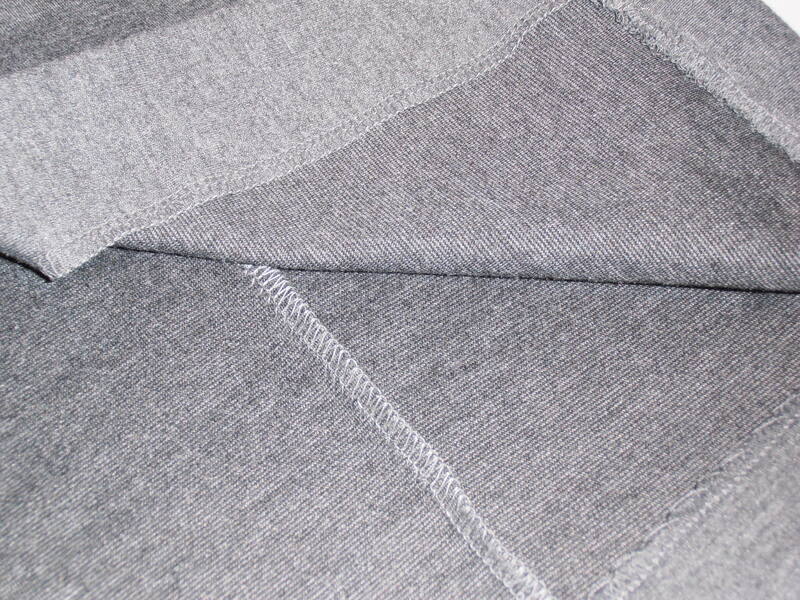 When it comes to the collar it seems that beyond a bit of fusible interfacing there is very little required to structure it. At a couple of places they suggest you build a “little extra fullness” in but I am not sure what that means. Incidentally I love the biker jacket in this issue too! This has been sitting on my pile of work, waiting to be hemmed for the last week. 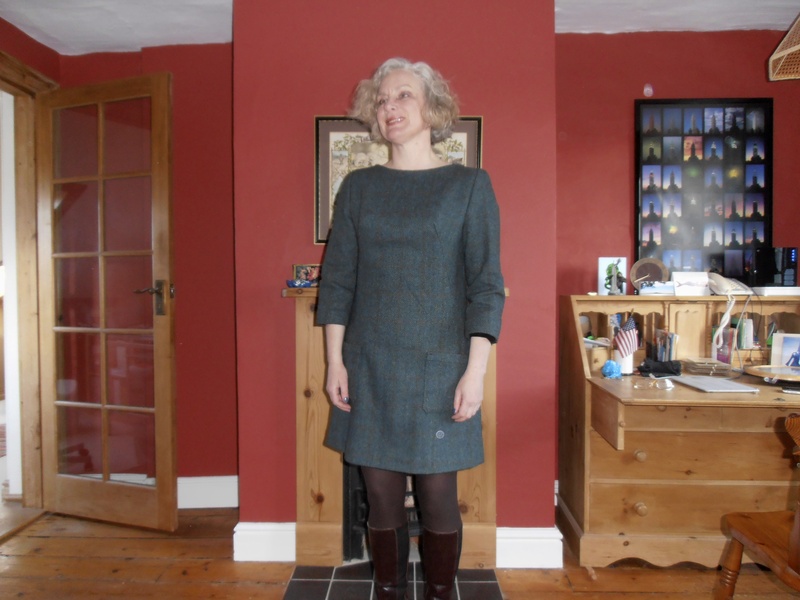 Yes, I decided to go ahead and make shift dress 107 from Burda’s September issue using my beautiful piece of Scottish Tweed. I found the fabric in Cloth House, Berwick Street. I’m not sure if you can see the colours in the pictures but it is a green and navy herringbone with fine mustard and pale blue window pane checks, which are almost indistinguishable. 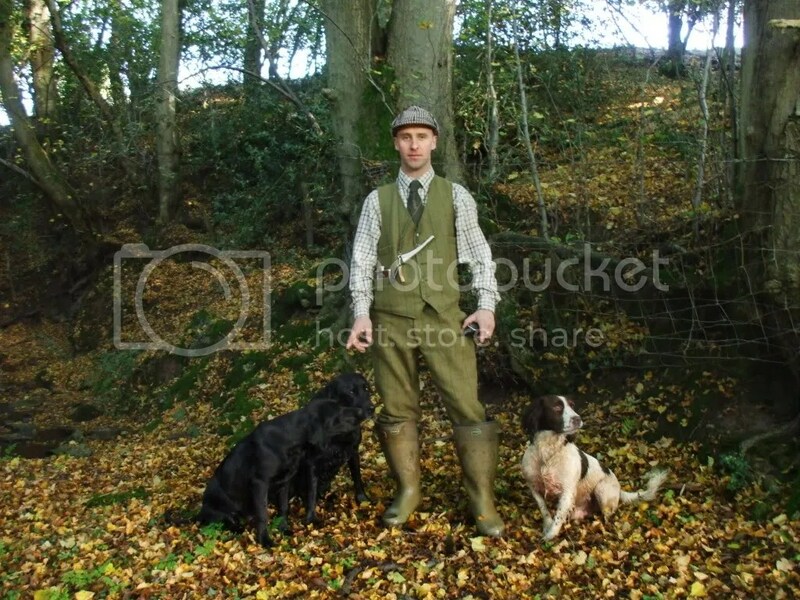 It’s a bit huntin’, shootin’ and fishin’, if I wanted to I could use it to make plus fours. In order to make the dress a little more slinky than my toile I pinched an additional centimetre on either side of the long curvy darts, extending them up so they met my bust point. I also took a centimetre off the sides from the waist and down through the hips. This makes a massive 8cm taken off the waist, it’s still quite loose but now has a bit of shape. 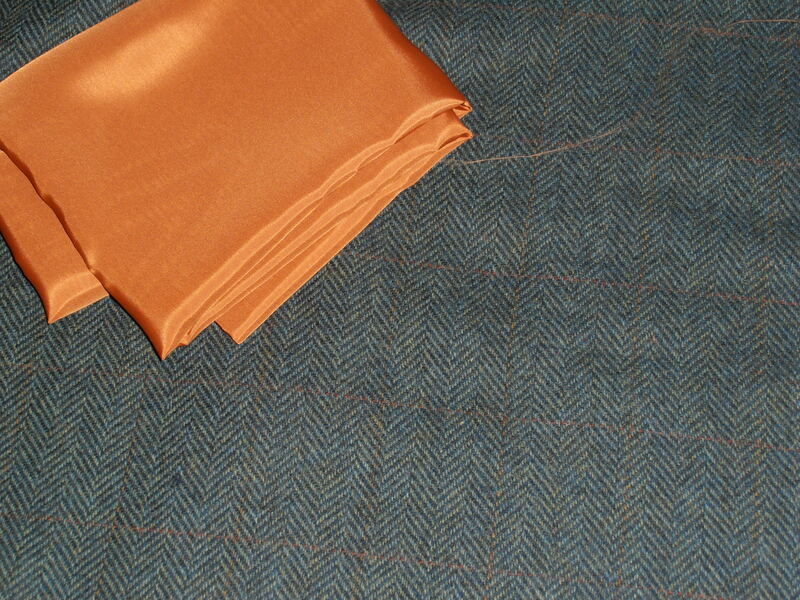 The tweed is very thick and I was worried that if I used the same fabric for facings it would be too bulky and itchy against the skin so I made a full lining out of mustard coloured bemsilk (from MacCulloch and Wallis) and used that as a facing. I also lined the patch pockets, cutting the lining on the cross grain and interfacing it, tips I found in a book to ensure the lining is strong and smooth. The seams have all been serged to death; now I have discovered a cheap source of thread I love my new serger! Today will be a perfect day for trying out the new dress; it’s a cold, bright day and I’m off to my knitting group later this morning. When I’m not working I have a habit of wearing more or less the same thing – either jeans or a denim skirt, a long-sleeved t-shirt and one of my hand-knitted cardigans. This uniform is casual, comfortable, but also scruffy and lacking in any style. In an attempt to get out of the rut I have decided to make myself a winter dress. 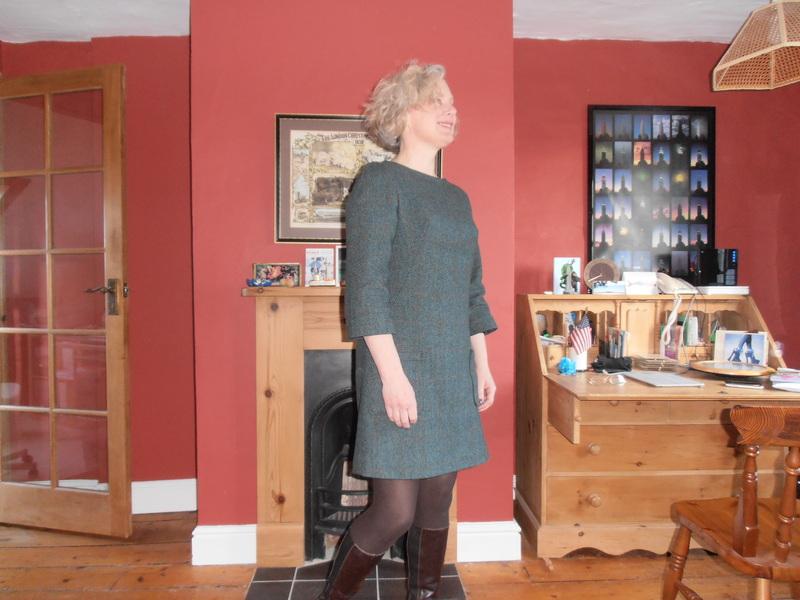 I have a lovely piece of tweed which I think will make a really nice Mary Quant type shift. In September Burda showed a shift dress pattern (107 09/2012) in a number of guises, it came in a sweatshirt which Melissa made up; a lady like, below the knee, a-line (OK frumpy) knit dress; a short sleeved lace dress and a short shift similar to the one I want to make. On the Burda website I found this dress which is the sort of look I am trying to achieve. I find it a little odd that exactly the same pattern pieces are used for such different fabrics, indeed if I were to make either of the longer dresses I would probably cut a smaller size than that used for the looser sweatshirt or shorter shift. 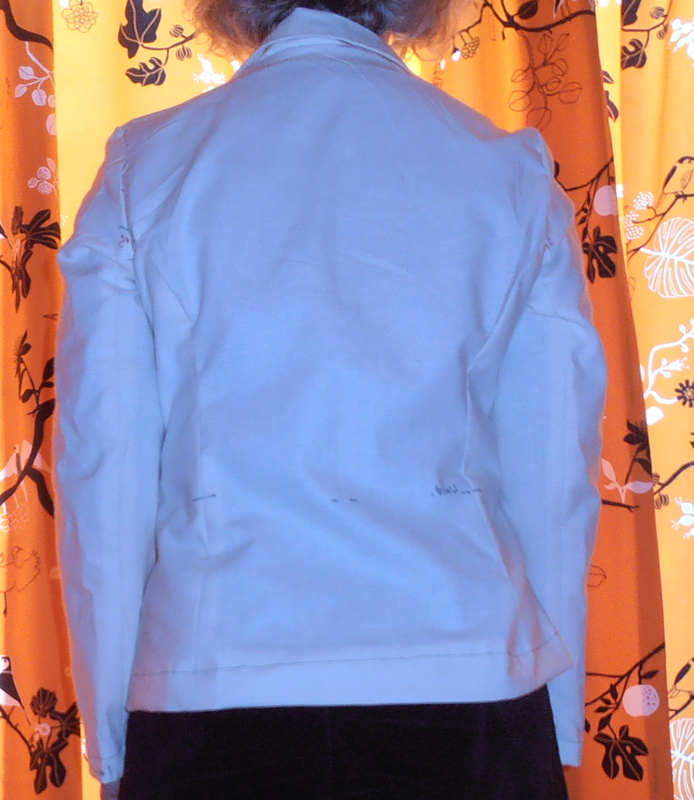 Although I am pretty much a standard Burda size I didn’t want to cut into my good fabric without making a toile. 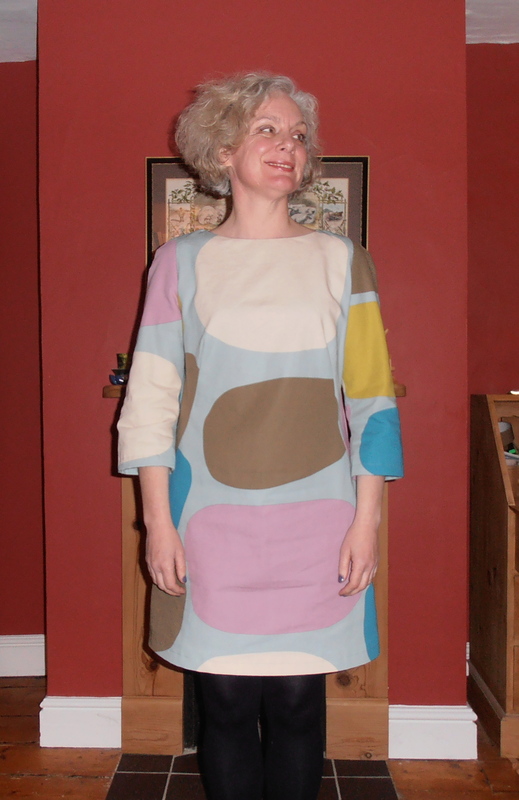 As I didn’t have any calico to hand I decided to make up the dress in this furnishing fabric from Ikea. In part this is because the fabric is not very drapey, a little like my tweed, and in part it’s because I like the colours which seem quite spring like. Well, we did have a bit of sunshine today and there are snow drops in the garden so I can hope that spring is on it’s way. The dress was very quick to make. It has long curvy darts in the front and an interesting dart at the top of the sleeve which is sewn in one with the shoulder seam. Apart from that it couldn’t be simpler. The fit is very loose and the shape is quite flared. It’s comfortable and casual, has long sleeves and will get me out of my rut but I’m not completely convinced it’s what I am looking for. I’m not sure what is wrong but maybe the shape just doesn’t suit me. You can see in this photo that it gives me quite wide hips (OK the fabric doesn’t really help). I’m not really used to wearing such a loose style and such a high neck line. It may be that the problem I have with it could be fixed it I tried a sleeker fit. What do you think? Should I go ahead or should I use my lovely tweed for something different? Do you have any good patterns for a simple shift? A few weeks ago I ordered some grey roma jersey from Fabric Godmother expecting to make a sophisticated, sleek and understated shift dress using this pattern from Burda in September. 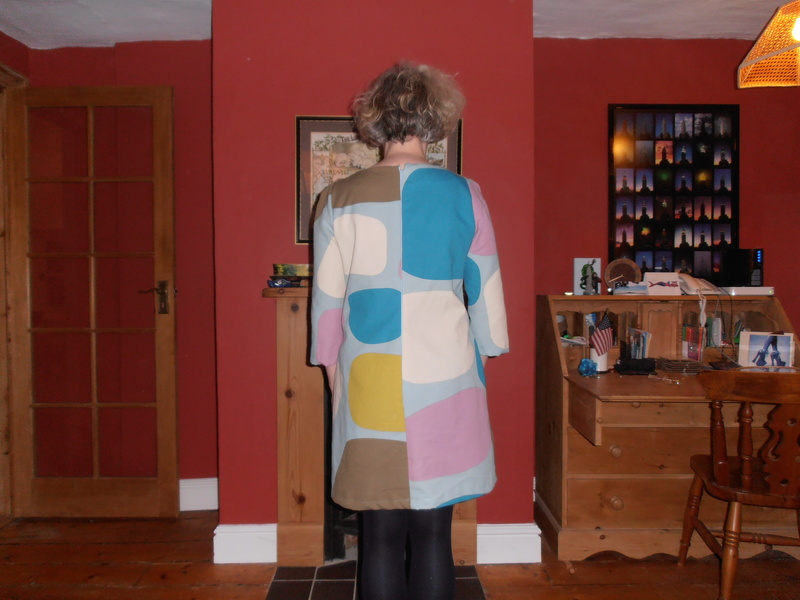 It’s lovely fabric but when it arrived I realised it was a bit too plain for such a simple dress; there’s a fine line between understated and boring and I suspected that the finished dress would have fallen very much on the dull side of the divide. I still wanted to use the fabric though and fortunately Burda decided to republish this dress from 1956 that month. I was attracted to the long lean lines, the funnel collar and the slinky, skirt. The pattern is very straight forward to make up, but the bodice is time consuming and it took me a good couple of hours to trace and then hand baste all the darts. I expected to have problems getting the seams to match but they came together very easily. I had a little difficulty with the neckline, the instructions tell you to apply the facing before sewing the shoulder seams. I did this but then found a tiny mismatch on both sides of the top neck seam which meant the facing would not fold neatly in. This was quickly fixed by taking it apart, sewing the shoulder seams, sewing the pieces of facing together and then sewing the seam around the top of the neckline in one go (this is the way I normally apply facings and I’m not sure why the pattern asked for a different method). The project was started before Christmas and before I received my overlocker so, although I have finished it off where I could with the overlocker I would have got a neater finish had I been able to finish each seam as I sewn it. Incidentally I found in my thread drawer that I had five different spools of Gutterman’s 701, all bought to go with different fabrics purchased at different times from different shops. I don’t think I could have done this if I had tried, obviously something in my sub-conscious draws me to that particular shade of grey. They are all used up now as the overlocker eats thread, so I am going to have to find a new, cheap source for the future (any suggestions?). So anyway I finished the dress and was very happy with it. I had taken a smigeon off the waist and a fairly hefty chunk out of the two front princess seams across my belly (this made me feel much better about my post Christmas flab). I also thought about taking some fabric out of the top of the back as I get a weird wrinkling there but it was a bit too late to make that alteration by the time I spotted the problem. I get a bit of gaping on the top of another Burda dress I made some time ago so I probably need to think about this in the future. The bodice was well fitted but I hadn’t taken out the basting at this stage. It did vaguely occur to me that it should be much tighter given that the darts would be removed adding back lots of fabric but I really didn’t think this was going to be a problem. By this stage all my careful marks showing where the darts should have been had rubbed off and rebasting, then resewing those darts took me forever. This fixed the problem with the bodice but emphasised a wodge of fabric I had been trying to ignore at the top of the central skirt panel. The piece is shaped with a point here, I had noticed that it didn’t look quite right but thought the weight of the skirt would pull it into shape. Unfortunately the jersey is too clingy for that to happen. The bodice is quite thick where the three pieces meet, as the central seam also has the folds from the darts sewn into it and I think this contributed to the problem. Eventually I fixed it by taking about 2-3 cm from the top of the central panel of the skirt. It hangs well now but there is still some bulk at the bottom of the bodice which I haven’t been able to remove. Anyway I love the finished dress even if it’s not what I was expecting. Burda recommends using a wool jersey but looking at the picture from 1956 I suspect a drapey, woven fabric was originally used (did they have thick jersey fabrics in those days?). This would explain why the pattern has a back zip and calls for darted sleeves to be set in with a bit of ease around the cap. Whilst it would be difficult to get such a close fit with a woven I think a lovely patterned silk or maybe a wool challis would have made a gorgeous dress. 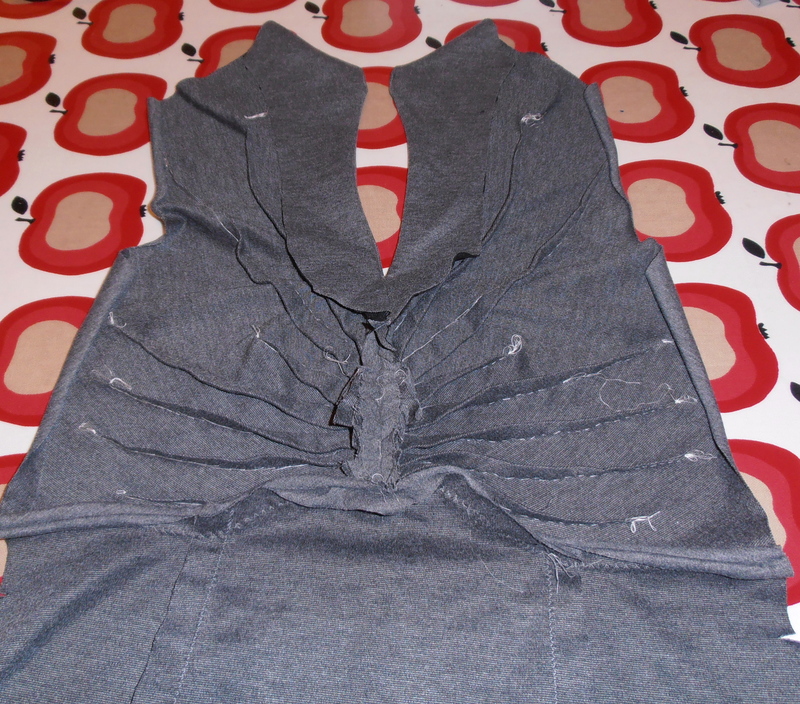 I also suspect that the problems I had with the bodice may not have been so severe had I used a more drapey fabric. Usually I try to write my post about the month’s Burda earlier than this but I’ve been so busy this is the first opportunity I’ve had. So far I’ve only seen one other review for October which is a bit surprising and maybe because other bloggers, like myself, have found this month’s issue a bit boring. 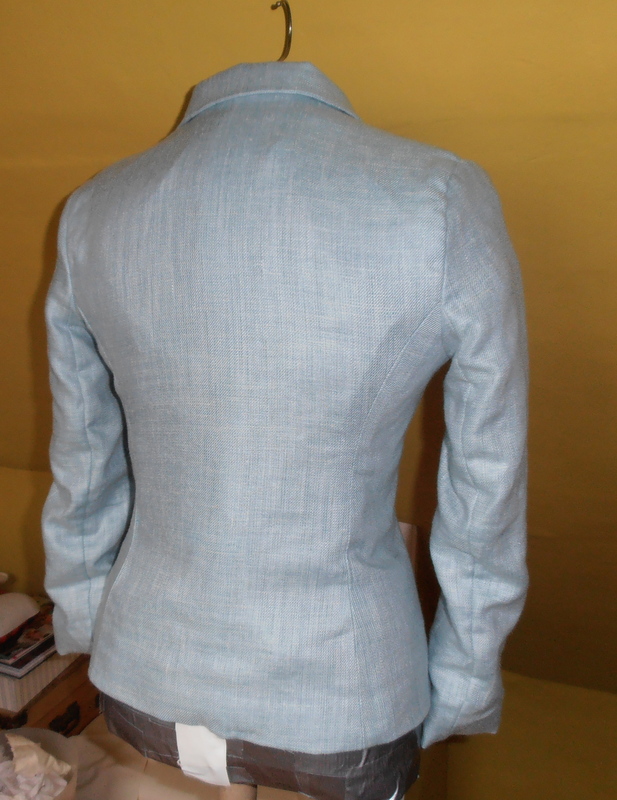 I’ve written before about Burda and how it can be good one month and not so good another month. I don’t really mind this as I’m so slow about getting round to sewing anything not to adding to the list of things I’d like to make is a positive benefit! Also it’s so cheap it doesn’t really matter if a month or two isn’t so interesting. So what did I like this month? 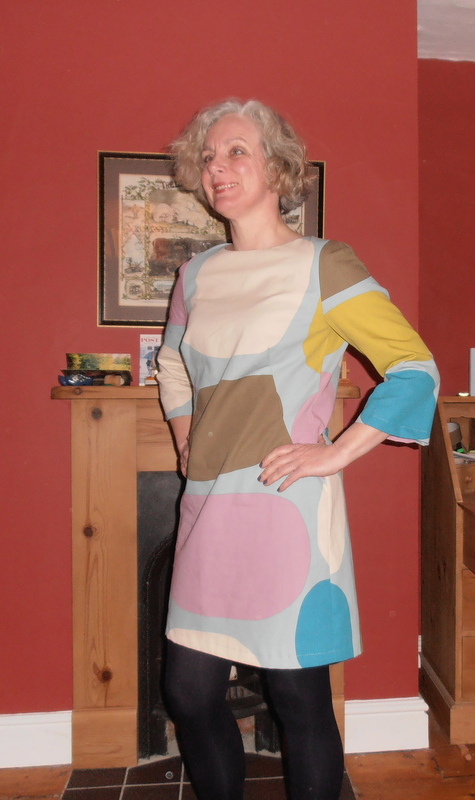 Firstly this dress/top/tunic (113) which is very simple but made out of lovely fabric (of course finding the same lovely fabric is going to be difficult). I like this casual look with the longer dress over straight jeans or thick tights. Secondly I liked this skirt (124) with the welted pockets. I’m not sure how you can put pockets in like this without there being a seam but it does look very polished. Incidentally lovely fabric again! And that was about it. The only other garment that caught my eye was this dress (122), mainly because it looks like a simple block made up in green satin. Now I have my bodice and skirt blocks maybe I could make up something like this if I can find some nice material. Incidentally, I see from the French site that there are references to various articles that I don’t seem to have in my English version. Am I right in thinking that the French version of the magazine may not be identical to the English? My last post on Burda has provoked a lot of interest, it seems I am not the only one who likes the magazine. This month, again, there are a number of things I can imagine making (if I ever have the time!). First of all there is this ruched t-shirt (114) which has “sewing lesson” instructions. They have made it up twice. I’m not sure I like the pastel pairing of it with the full skirt but I can see the potential, particularly with the Missoni type fabric. The main problem with this pattern might be finding an interesting fine knit to make it out of. I also like this skirt (121) a lot. Clean lines but interesting details. The pockets are slightly unusual, and I wonder if they might gape a bit which could be really very unflattering. The bronzey coloured skirt is made out of a techno-gabardine. I’m not sure where you’d get such a fabric but it looks exactly my sort of thing. 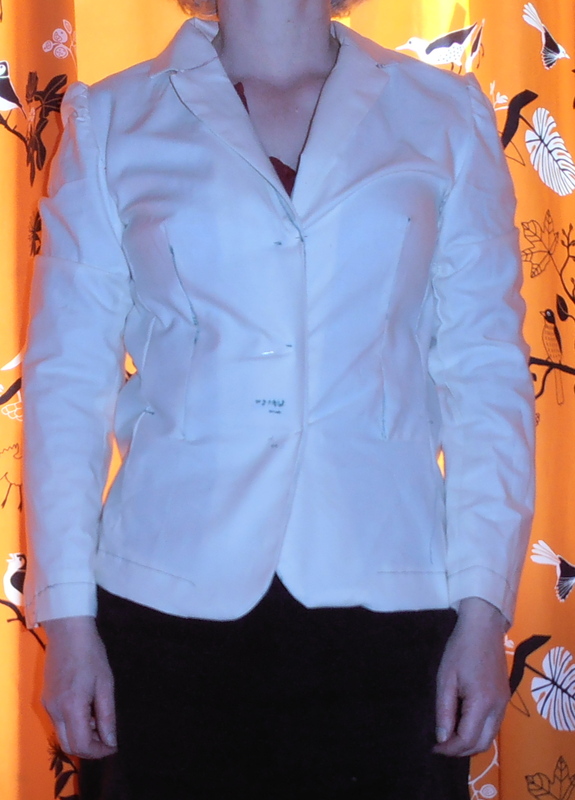 The white shirt (122) is nice too, with an unusual collar. Talking of white shirts. I like the look of this one (117) with it’s unusual pleat at the neckline. I notice that blouses made a bit like short dresses (i.e. with invisible zips to secure them and with a bit more structure than a traditional blouse) are around a lot this year. 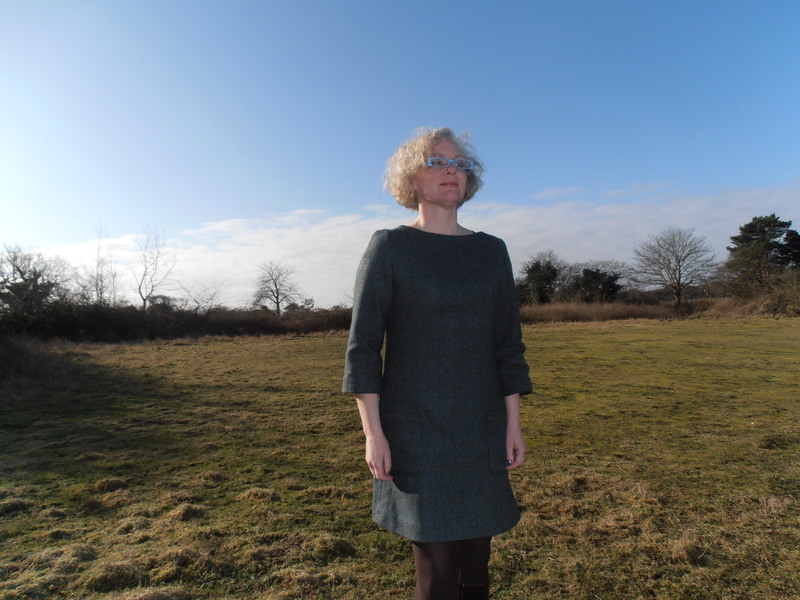 Pattern 118 is a case in point being made into both a dress and a blouse. 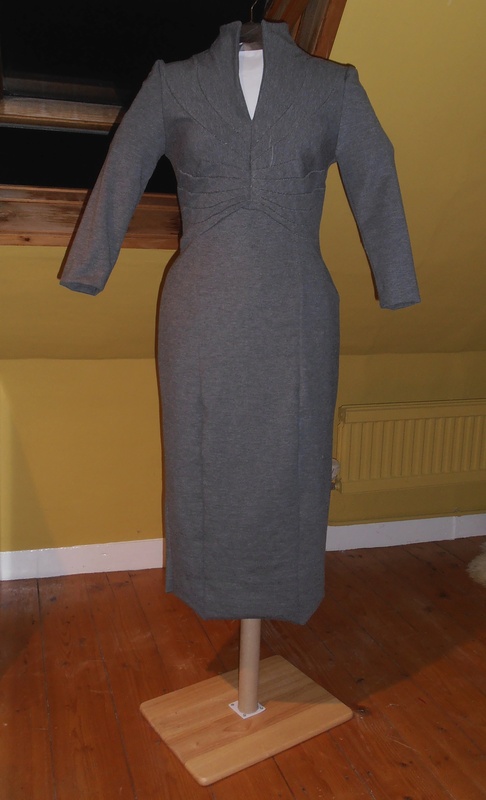 This looks to be very similar to 117 but with a cowl neck rather than a pleat. Both patterns have gathers at the waist line which might make them a bit awkward to tuck into skirts or trousers. 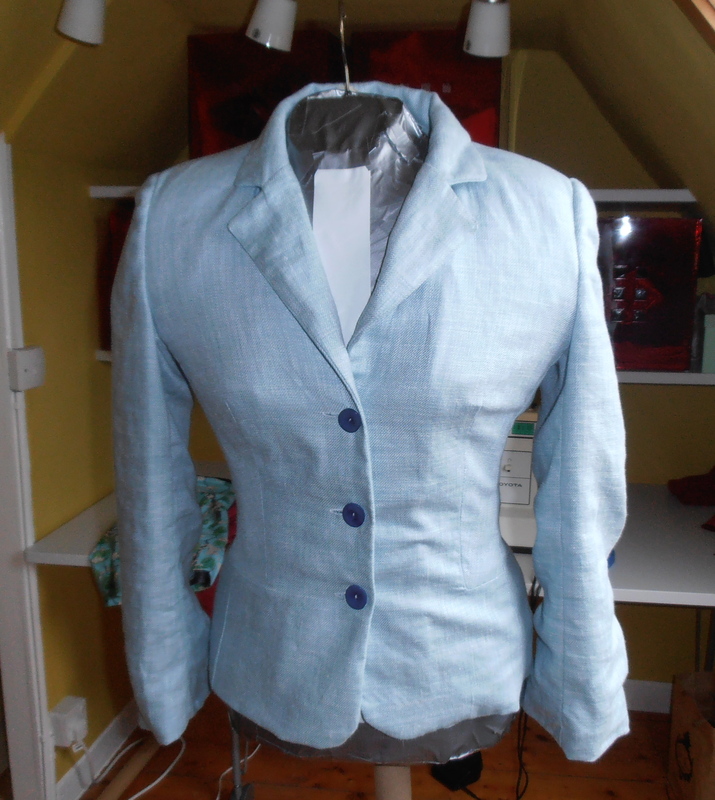 Lastly I liked this jacket (113) which is also made up into a waistcoat. 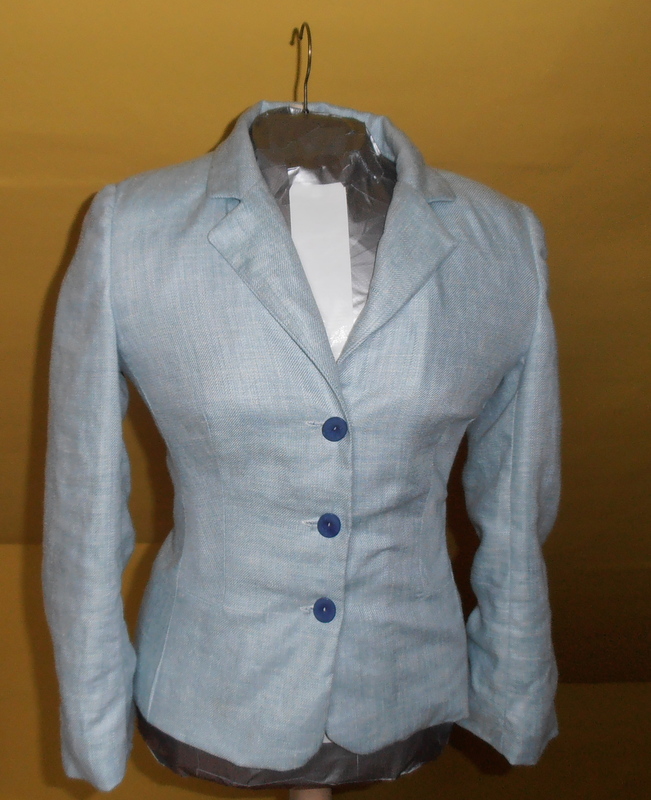 The jacket, however, has sleeves made out of a knit fabric which makes it look like a layered garment. I can’t see the point of having sleeveless clothes in winter and this looks like it would be very cosy. I like the stylish asymmetric front and clean lines, I can imagine using it to smarten up a pair of jeans on a cold day. Did you enjoy this issue? Which patterns did you like? I sometimes wonder why I buy Burda every month. Each issue seems to have at least one thing (and usually several things) I want to sew and as it takes me forever to complete the simplest garment I am constantly getting more and more behind. 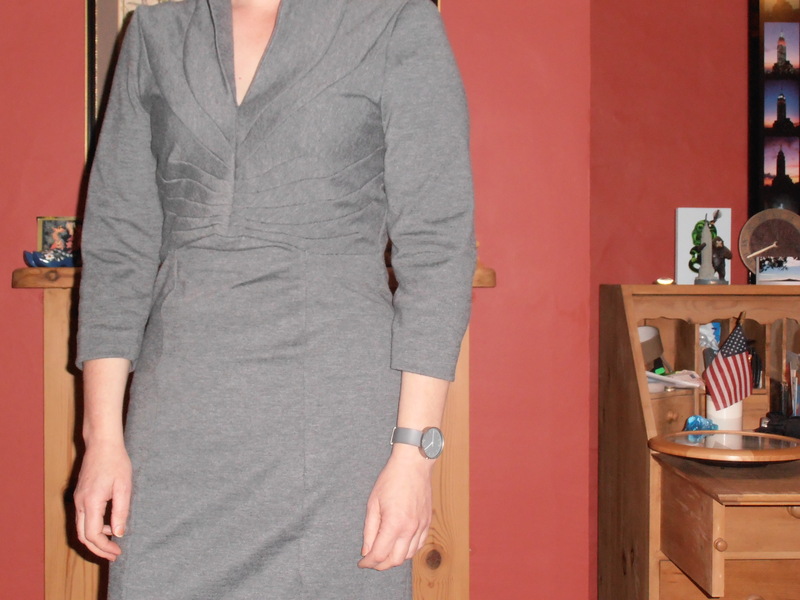 I know several bloggers have expressed some dissatisfaction with Burda but I love it. A lot of the clothes are exactly the style I would like to sew and wear. Some months are better than others but for £4.75 a month it’s very good value and even if I don’t want to make anything in that month’s issue I know there will be something good the following month. Personally I haven’t found the instructions too difficult to follow, they are quite sparse but even as a novice I can see that most garments are made up in roughly the same manner so once you’ve made a few clothes you can sort of work out what’s coming next. Having said that I haven’t made anything really complicated as yet and maybe once I get around to doing so I will find them more difficult. One of the things I love about Burda is the way you can see the full potential of a good pattern as they will often make up the same garment a number of different ways i.e. in different fabrics or lengths. Making minor changes can give a completely different look. Another thing I enjoy is looking through the instructions and checking out the pattern shapes. I find this really helps me understand how some of the more obscure shapes are created. I was going to use the post to review the October Burda magazine but it seems to have turned into a bit of a love letter. I’ll try to find the time to post details of what I liked in this months edition next week.